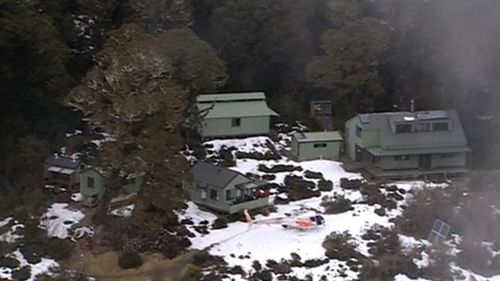 A Czech hiker who survived a month trapped in a remote snow-bound hut in New Zealand after her partner died in a fall said this morning she knew it would be perilous to try to reach civilisation. Pavlina Pizova broke down in tears as she relived details of her harrowing ordeal, watching avalanches crash down the surrounding mountainsides while she waited in the hut hoping to be rescued. 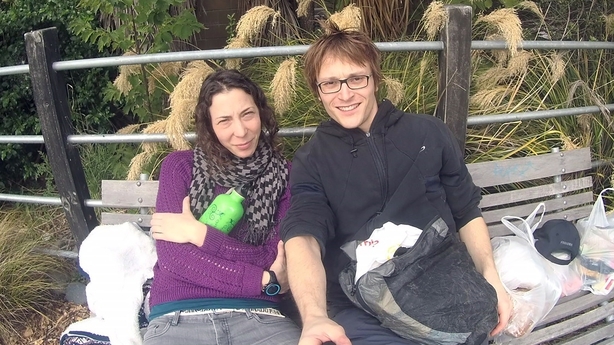 A search party found Pizova on Wednesday more than a month after she and her partner, Ondrej Petr, set out to walk the 32km Routeburn track, which traverses the Southern Alps in the southwest of New Zealand. Mr Petr's body was recovered this morning. Ms Pizova said that after leaving Mr Petr's body she had to fight her way through deep snow for two days before finding a ranger's hut and breaking in, to find food and heating. "I made a few attempts to walk out from the hut, but my feet, the weather conditions and the deep snow discouraged me from doing so," she said. Given her poor physical condition, the amount of snow and knowing the risk of avalanches, she decided it was best to stay in a safe place. "At the hut I saw numerous avalanches coming down." Ms Pizova said the couple realised they made mistakes at the start of their hike by not recording their plans, not carrying a locator beacon and underestimating the weather. "The conditions were extreme, we encountered heavy snowfall and low cloud which contributed to our enforced overnighting in the open," she said. It was while trying to reach the hut that Mr Petr fell and died. "After his death it took me another two nights out in the open before I reached the safety of the hut." Recent heavy snow meant she was walking through waist-deep snow. With track markers covered, she had to find her own way. "During this time I got extremely cold, exhausted, and my feet were frozen." Ms Pizova urged other hikers not to repeat her mistakes. "I would like to use this opportunity to pass a strong message on to anyone intending to travel in the New Zealand mountains to seek very good information and mainly respect the winter conditions and quickly changing weather."